We were squished in a corner at the back of the mini van that was to take us westbound to Moalboal. The van leaves when it is full and another one takes its place, taking in more passengers. 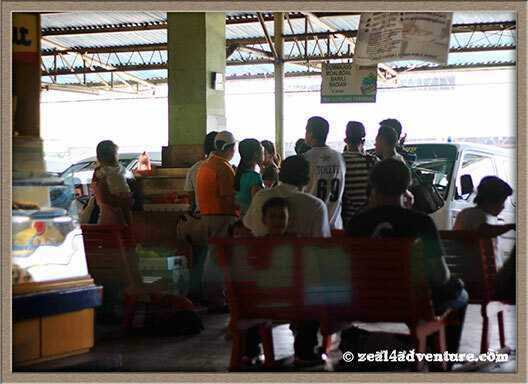 We only had time for a quick brunch at One Citilink Terminal before the conductor started calling for passengers. There was no leg room where I was sitting in the van; I had to sit up the entire 2 hours to Moalboal. I could not be happier to stretch my legs finally when we got off. And even more so that we are to embark on a new adventure. Yay! 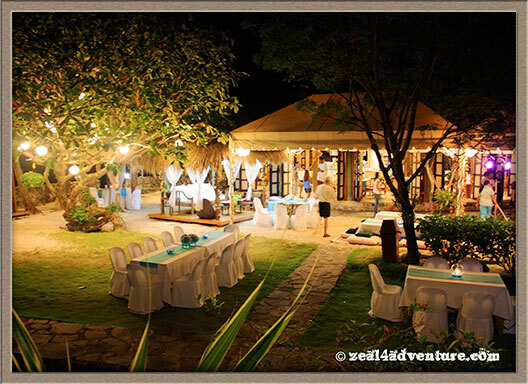 Boasting of world-class dive spots, Moalboal has been a favorite haunt of serious divers since the ‘70s. 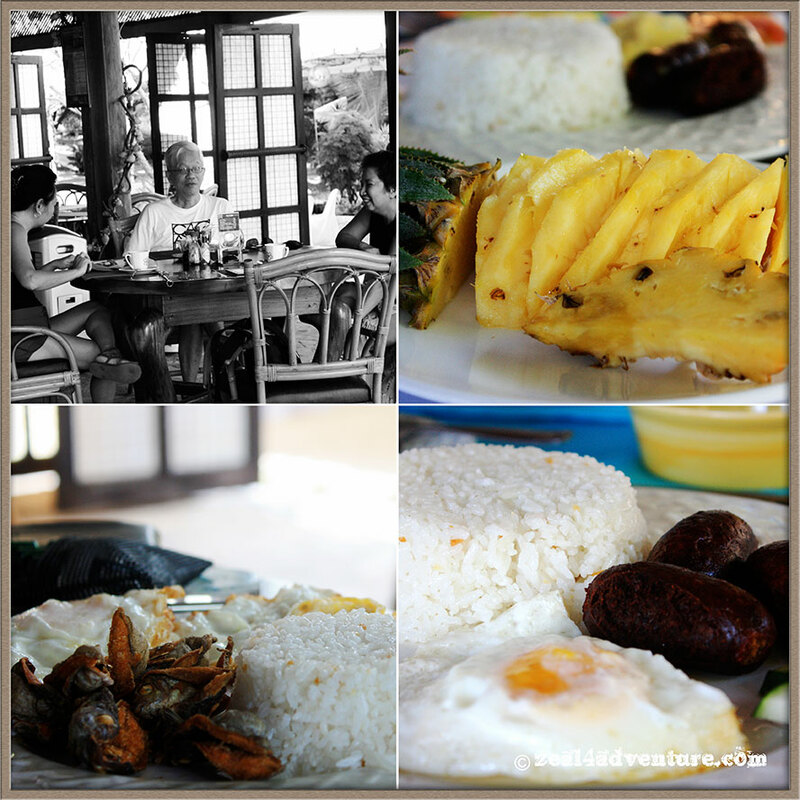 Diving, snorkeling and beach combing aside, a new adventure has emerged a few years ago in this side of Cebu. This led us to Club Serena. Where the van dropped us off, we took a tricycle to the resort. The chatty tricycle driver offered to take us island hopping, snorkeling… “Makakamura ho kayo (it will cost you less)”, he said. I would have taken his offer except that we had more than just snorkeling and island hopping in mind. 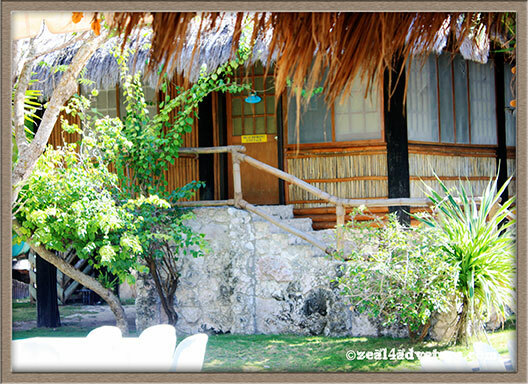 In the outskirts of Moalboal is White Beach and lying at the end away from the busier Panagsama Beach is Club Serena. Stunning hues of blue from sea to sky is supposedly typical throughout Cebu. 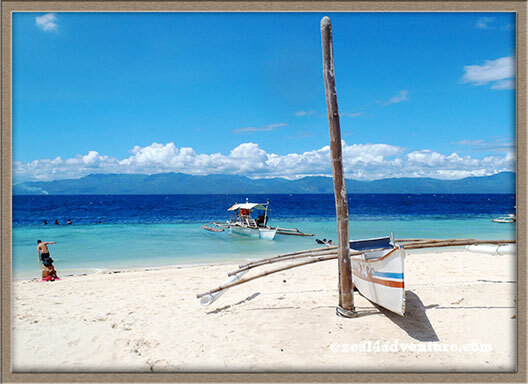 Although both beach share a coastline, separated only by coves and rocks, White Beach also known as Basdaku (which means big sand in Cebuano) has a wide stretch of sand. Panagsama Beach, however, plays hosts to many bars and restaurants but has no real sand to boast. Typhoons and bad coastal management has left the beach of Panagsama rocky and without sand. Depending on preference, I’m glad we ended up in quiet White Beach. 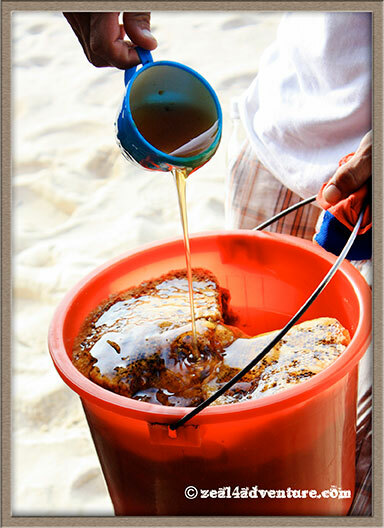 Honey for sale outside the resort. Possibly the most expensive resort along the strip, Club Serena has 8 rooms scattered around its grounds. We took the Beachfront Suite, which they also call the Honeymoon Suite (perfect actually for honeymooners but that was not what we were there for). Fits all 4 but 2 had to sleep on mattresses. 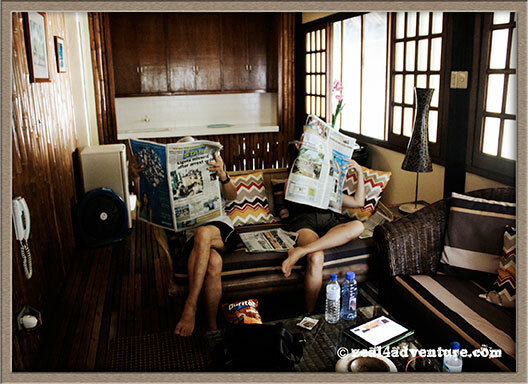 The suite comes with a room that is big enough to fit 4 of us, it also has a living and dining area where we would hangout and read. 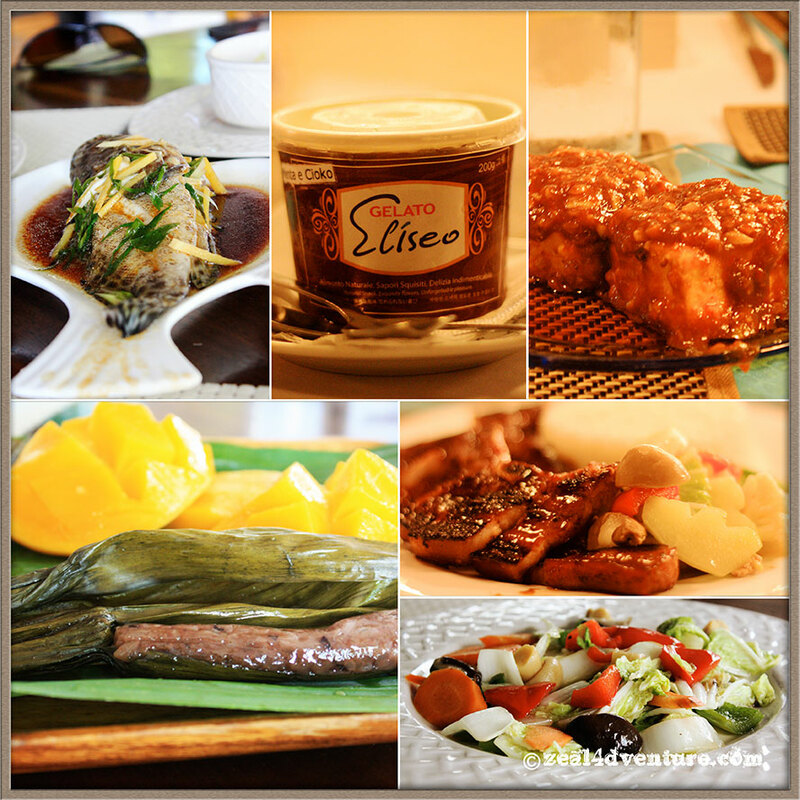 Albeit slow, the clubhouse just across our suite whips up wonderfully prepared Asian dishes and having all our meals there during our stay was a delight. Having breakfast before we went off to our adventure. An activity center offering a wide array of activities from diving to dolphin watching to canyoning was the reason we decided to splurge on the resort. 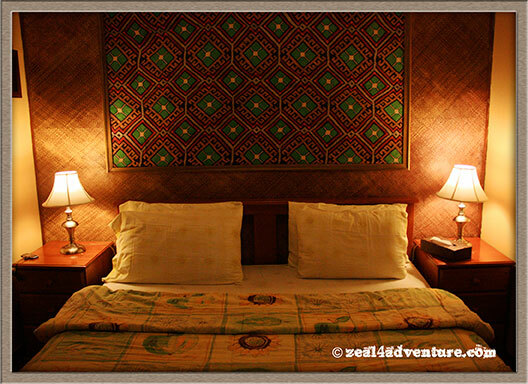 The resort alone with its many cozy corners, a nice pool and well-appointed rooms is already worth the splurge. Having an activity center that arranges all your activities so close by was icing on the cake. Over a late lunch when we arrived, our guide came up to brief us on tomorrow’s activity. What to bring, what not to bring, what to expect, taking note too that one of our companion was over 60. He seemed worried but was assured when he learned that our friend has climbed Mt. Kanlaon many times. More than what I can say for myself. We spent the rest of the day chilling. We slept, read, and enjoyed the sunset over some wine and cheese until it was time for dinner. What a perfect prelude to exceptional activities to come. Stay tuned. love your adventures. i’m not a diver, heck i can’t even swim, but i can find a million and one things to do here. it’s so pretty. 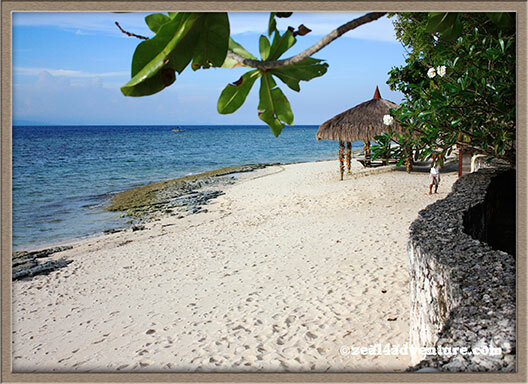 Cebu is famous for its white sand beaches. The resort is fantastic! Looks like a wonderful place. Wow! This looks like a terrific and beautiful place! Love those beaches and the resort is definitely fantastic!! Thanks for sharing the fun!! Look forward to reading/seeing more!! Enjoy! Calling by as another Our World Tuesday participant, lovely photos of a beautiful part of the world. 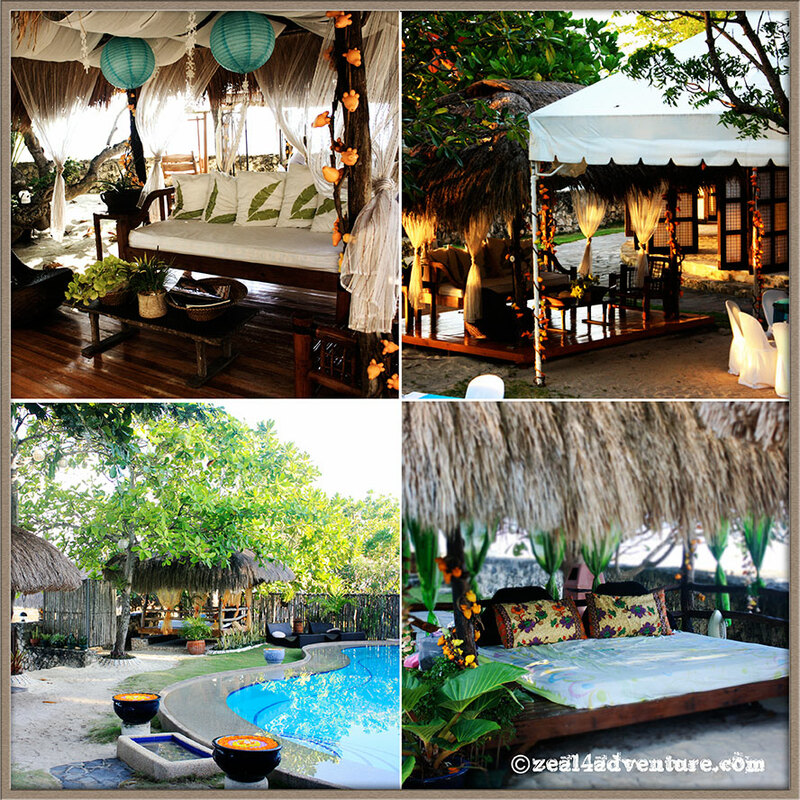 I’ve always been to Cebu coz of work, but i haven’t been to Moalboal. I love all your beautiful photos.